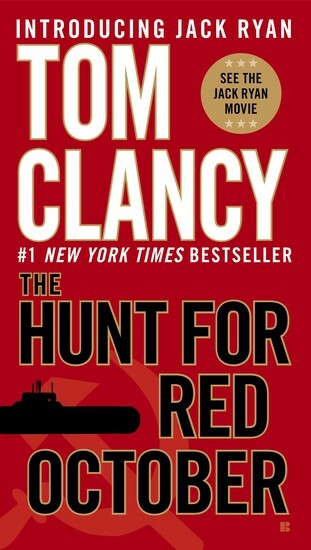 The Hunt For Red October was the finishing blow of a series of Tom Clancy novels. Tom did a outstanding job with many of his novels and this one took the cake. With everything from suspense, thrills, war, revenge, changes, heroic and evil actions, this novel was stocked with it all. The thrill of the United States being worried about a nuclear missile submarine at the coast of the land of the free kept me reading until the last period. The changes of some hearts and the determination of others made it a fun challenge to figure who was really the villain of this great novel. Will the typhoon class ever make it to the east coast? Who is really the villain? And the final moments of the novel might actually be the final moments of Red October. The book was great but I new it would end so when it did it felt like moving away, not only could I find new novels to read, but I could start over again. A smart quote form the Captain of the Red October, he says that the sea can give a man hope, this goes with the theme of the foreshadowing that he plans to change something while he is at sea. Captain Ramius - "A great day comrades, we sail into history." Another great quote form the Captain, he is not only foreshadowing again because no one has ever done anything from the soviet union like he eventually does, but he is also is giving a small amount of friendship into the crew to see who really is his friend. Captain Ramius - " Once more we play our dangerous game, a game of chess against our old adversary - The American Navy. For forty years, your fathers before you and your older brothers played this game and played it well. But today the game is different. We have the advantage." The quote above represents the main theme of the novel which is war and small amounts of revenge. This quote represents the view of the Russians at the time of the Cold War when it came to at least the navy. The image goes along with the theme of war and the people involved in the war in the novel. The great element of foreshadowing is great to add the suspense of what the Captains intentions really are. The Captain uses his friendships to help him accomplish his main personal goals in the novel, making this theme extremely important.